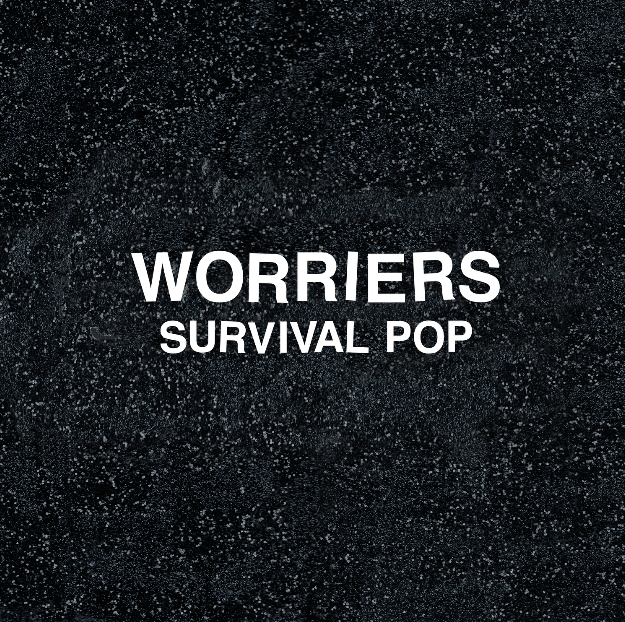 After signing with SideOneDummy Records back in June, Brooklyn-based melodic punk group Worriers has made a triumphant return with their second full-length album Survival Pop. An unapologetic reminiscence by a noticeably stronger, wiser songwriter, Lauren Denitzio’s catchy, anthemic pop-punk songs show that it is possible to learn from and overcome even the greatest adversities. "My 85th Rodeo" opens the album in a confessional-style, before transitioning into an upbeat punk masterpiece with big guitar, an addictive beat, and unwavering, powerful vocals. A perfect embodiment of what the rest of the album will bring, it’s raw sound and direct yet poetic lyrics instantly makes a bold statement; in looking back at the struggles of your past, it is possible to move towards a better future. It immediately draws listeners in, and leaves you wanting more. They don’t disappoint, and Denitzio keeps the energy high in "Not Your Type" and "The Possibility", with powerful vocals and anthemic guitars, before giving listeners a slight breather- even if just for a moment- in "Gaslighter". Starting off with a catchy guitar riff, haunting vocals entrance listeners before cutting to a screaming guitar and heavy drums. The lighthearted guitar on "What We're Up Against" stands out in an album with colossal sounds and powerful, passionate vocals. While the rest of the album showcases the strength of Denitzio, this melody feels more hopeful, with the heaviest sounds only showing up in the chorus. "Future Me" is oddly reminiscent from an older, wiser, stronger person. Its upbeat, catchy pop-punk feel paints a picture that leaves the listener standing in an entirely other world. Set apart with its unique perspective, their interesting take on the idea of past and current self adds a vital layer to this track that goes beyond its dominating guitar and commanding vocals. The heavy baseline of "No Thanks" draws people in, and its mellow opening stands out in an album full of upbeat, pop-punk masterpieces. They are able to write a seemingly personal narrative that is simultaneously very relatable, and give listeners a few moments of breathing room before jumping into chaotic drums and insane guitar. This collection of catchy pop-punk tunes is exactly what people need right now, and there’s not a single track on this album that you could go wrong with. Wearing their heart on their sleeve, Denitzio’s self-reflection provides great insight as to how overcoming adversity and a newfound perspective can result in inner strength. Packed with beautifully intense vocals, this album stays true to its name- it is exactly what people need to make it through the world right now. Listen to: "Future Me" "My 85th Rodeo", "Not Your Type", "WTF is Sleep"
Survival Pop is out now on SideOneDummy records.